Apart from your hard hat and construction-grade overalls, your work boots are vital additions to your daily uniform. Not only do they enable you to walk through your work area, but they can also protect you from nasty injuries such as a falling pipe or a descending chunk of steel. Choosing the right work boot for you can be very tricky, especially with the many models and makes out there. You need to make sure that you’ve purchased the right footwear so that you will feel protected and comfortable while at work. It will also make your workday much easier. Although there are numerous factors that go into making the right work boot for each type of job that needs one, selecting what meets your needs best isn’t complicated at all. In this article, we have listed four main factors that you need to consider to do just that. Whether you need electrical-resistant work boots for working in a power plant or composite toe construction shoe for masonry, every workplace has its own hazards. Safety is a must. It’s actually the most vital aspect of any work boot. Thereby, choosing the right pair can protect you from injuries, or even save your life. No one actually knows tomorrow. So, it really pays to be prepared with the right gear for your job. – Steel Toe – If you work in the constructive industries, lumber, or carpentry, a pair of work shoes with steel toes is a must. Boots with safety steel toes are a great idea since they can protect you from serious foot injuries. – Composite Toe – A composite safety toe is made of Kevlar,, plastic or carbon fiber, and are good for people who spend a lot of time working outdoors. They are usually better than steel safety toes since they aren’t detected by metal detectors. Another factor to consider when choosing work boors is support. Support in a work shoe is determined by several elements that work together to make your feet comfortable. When selecting a work shoe, consider the shank, insole, midsole, outsole, and puncture plates since they all contribute to ensuring sturdy support for your feet. If you have experience blistering or discomfort with your work boots, you may want to consider changing your boots’ insoles. It’s also important to remember that midsoles are an important part of any work shoe and can make a big difference in your shoe’s overall support. If you spend about twelve hours/day working on your feet, you do without a doubt need comfort work shoes. Maximizing comfort of your work boots can greatly improve your overall job performance by keeping your mind distraction-free and uplifting your spirit. You also need to consider the fit. Look for any hot spots or pinching since they are some uncomfortable areas that aren’t likely to diminish over time. Lastly, most work shoes are made of leather; a material that gives them flexibility. Leather work boots are recommended as they conform to your feet by repeated use. To maximize your work boots’ flexibility, you need to consider moisturizing them regularly with a conditioner. Insulated work shoes, on the other hand, can make working on the outdoors much bearable, and are a must especially if you work in the cold or snowy climatic regions. Are you thinking twice about purchasing an inflatable hot tub for your back yard? Are you afraid that investing in one won’t be a good idea? Such a hot tub might prove to be more beneficial than you think. 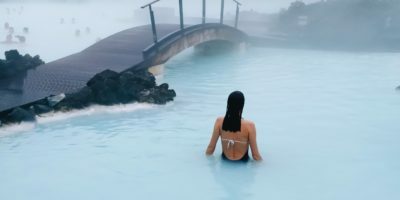 This article will provide with you with some examples as to why an inflatable tub is a great buy. You can relieve stress by having a dip in a hot tub, and an inflatable one can do that for you easily and without fuss. Just plug an electric air pump, put in some steaming water and voila, you have your hot bath within minutes. You can find one in almost every department store and home depot. You can even find brands that sell their tubs online. Contrary to popular belief, being low-priced does not necessarily mean they have inferior quality. Just ask your friendly sales rep and they will provide you with high-quality inflatable tubs at a fraction of the cost of ceramic ones. Aside from being cheap and a great stress-reliever, you can really benefit from this kind of tub because of their high portability. When you travel a lot and you need a nice hot bath from time to time, you can always hitch in your portable tub inside your car trunk or other mobile storage, thus allowing you to use it anytime during your travel sprees. Its extreme portability is something you can never enjoy from those made from heavy ceramics. People living in cities, where living space is small and very limited, can really do well by having this tub around. That way they can enjoy having a hot bath while still maintaining their valuable space. After bathing, just drain the water with a hose, deflate, fold the tub down, and then store it for another bathing day. Last but not the least is the wide variety of inflatable tub models to choose from. Depending on your needs and taste, you can choose from simple, single-person tubs to large inflatable Jacuzzis. Modern manufacturing technologies have produced inflatable baths in all sizes and functions, so there is surely a model that will match your needs and lifestyle. Next up, inflatable versions are extremely easy to install. For the most part, each comes with a self-inflating pump. And the whole process of deflating them is quick and easy too. All you need is access to a water supply (like a garden hose), a flat surface that can support it when full, and an electrical outlet. That’s it. Whereas a traditional spa is fixed in one spot, the beauty of an inflatable spa is that you can move it from place to place. Maybe you’re heading camping, to a buddy’s house, moving house, or simply want to make the most of the weather – it’s very portable and easy to transport from one location to the next. Of course, a key reason for using a hot tub is to relax, de-stress and soothe your whole body. And you receive the same great benefits inside an inflatable spa, as you do in a traditional one. The combination of warm water and jets smoothly caress your skin, while you tilt back your head and let your thoughts drift. The fact is, a regular spa collects dust very easily, and it therefore demands to be cleaned frequently. By contrast, you need only set up an inflatable hot tub when you actually intend to use it, so it won’t sit gathering dust for long periods of time. The rest of the time it can be packed up and put away in storage. Ultimately this translates to less cleaning and less overall time spent maintaining one. As you’ll discover very quickly, inflatable spas offer a much wider selection of colors and design than regular hot tubs. So if you’re searching for a tub that best suits your personality and favorite color scheme, then this is probably your best option. Lastly, remember that people love using hot tubs. And if you’re able to supply one for others to use, you will be very popular. So if your aim is to make a good impression and spend quality time with someone you care about, or you simply want to improve your social life, an inflatable hot tub might be exactly what you need. It goes without saying, but an inflatable tub offers one huge advantage over a fixed unit – portability. Your standard hot tub is a very heavy unit, with plenty of hard plastics, wood and internal workings which make them a permanent, fixed object in your home. That’s not the case with inflatable hot tubs, which can happily sit in one place for years before being let down, packed up and moved to a new location. You can even take it on holiday or put it in the garage when not in use! Now, you wouldn’t really accuse any tub of being ‘uncomfortable’. After all, it’s something that they’re explicitly designed against, but there’s no denying that when it comes to comfort, hard plastics are often less comfortable than malleable, inflatable plastics which offer a little give when you lean back into them. It’s possible for manufacturers to commit resources to create a great many different shapes, sizes and models of the hot tub. Inflatable hot tubs are made with more affordable materials and often have fewer built-in features like speakers, multi-jet support or advanced lighting systems. If you want to be a smart buyer, then you can find many guides on Linton’s in the Garden website to get educated. 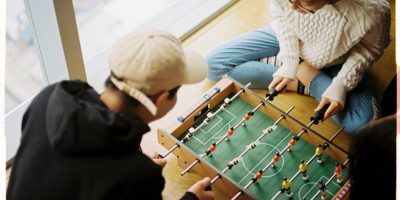 A table soccer may be just what you were thinking of when you were trying to find something to do to keep your family busy when you cannot go outside and there does not seem to be anything to do. Of course this is not simply a game that is limited to being played, but it can break up the doldrums that come with cabin fever. How to play table soccer? Table soccer, or foosball, as it is often called, is something that comes with its own set of rules, just like the real game! There’s more to it than spinning the handles, and if you want to play well and to play fairly there are a number of different things that you need to keep in mind. First, let’s start with the kick off. If there is whole on the side of the board, a third person might push it through, but if you do not have one, the ball should be placed under the foot of any five figure. This is the player who is going to do the kick off, and it should not happen until both players have agreed that they are ready. One rule that is very popular is that you need to make a pass of the ball on the 5 bar before you start to do anything else with the ball. Otherwise, any goal that you score does not count and your opponent receives possession of the ball. There are several rules of the table soccer game that you are going to need to learn if you are going to be a good player. For instance, if the ball ends up leaving table, it goes back to the player who served it for another 5 bar kick off. If the ball comes to stop between the 2 bar and the goal, you should have a kick off played from the 2 bar, though if the ball falls dead anywhere else, it is going to need to go back to the 5 bar. When do you score when you are playing table soccer? Any player on the field can score a goal, and if the ball enters the goal but bounces out, that will still count as a goal. The question of whether you can score a goal against yourself (something that happens quite often when you are dealing with new players) is something that should be decided on before you start the game. Some people feel that you should not be able to score goals against yourself period, while other people feel that if you score a goal against yourself due to an infringement of the rules by the other player that it should count against them in a deduction of points! Table soccer, like any game or sport, does have it’s problems with knobs, people who don’t know the game, and are unwilling to learn. Most generously, they will figure it out at some point and get better, but some people remain beginners for their entire lives. Some beginner behavior that you might recognize will include lifting the table while the ball is in play, banging or jarring it, or even kicking or bumping it. If the ball is in play, they might blow on it or even put their hands on the playing field, actions that are not allowed. Think about the fact that the whole family can be hanging out around the table watching and cheering each other on as you go and face one another in a family tournament. It can be a great way to get the kids away from the television and in a somewhat active state as they will be moving their hands and in all likelihood be jumping around as the ball is knocked back and forth between the two teams. There are many different models and styles that one can choose from and there are different types and sizes of tables that one can buy to be able to enjoy and entertain oneself during the game. Some options that are out there are tables that have electronic scoring or ones that will cover the entire kitchen table. However, because these are table versions you will be able to store them easily and will not need a dedicated part of the house to be able to store the game for use. 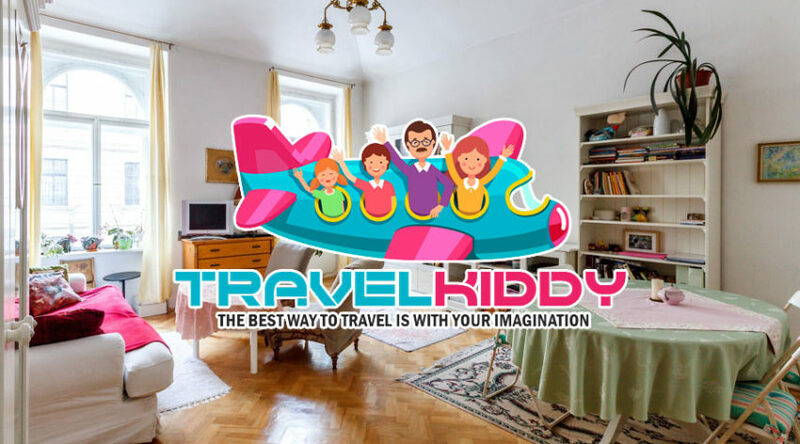 Being able to bring you and your family together for a night or afternoon of fun and excitement without spending a lot of money or leaving the house is one of the best things about this table game. It is about being able to have the fast paced excitement and fun as well as quality time all rolled into one. The photos are a familiar touch to give to your home. So you can put photos anywhere in the living room or in the corridors of your home. Placing books anywhere in your home is also a nice idea to give another vision to your home, and whether it’s placing a bookshelf or simply at a table, it looks cool. Candles are a romantic touch to add them anywhere in your home. Currently, many candles are used in different sizes all together as a centerpiece. Don’t be afraid to use anything you have stored and look very old that’s in good condition. Whether it may be tables, furniture, lamps or whatever, this is a new technique that is being used a lot. The colors are what will give life to your house. At the moment, neutral colors are fashionable, but whether neutral or bright, it depends on your tastes. The mirrors will always be a good addition to the decoration of any house. You can buy any mirror that goes according to the decoration of your house, and try some vintage, elegant, modern options. Try not to decorate your house so much, have more space in each room, which will give more light to your home. Besides that, it will help your space look bigger. Everything has to go with your style. Don’t put something just because it’s fashionable. You have to be faithful to what you like because it’s your home and you have to feel comfortable in it.